The Scoop: Successful online daters understand how to make themselves stand out with every word and photo they share online. They take deliberate actions to pursue desirable dates on the web, and they get better with every message sent. But not everyone is willing to jump into a dating site or app without knowing what they’re doing. Not everyone can skillfully sum up their personalities in a headline or bio. That’s where dating coach Erika Ettin comes in. She founded A Little Nudge to support online daters with practical advice and hands-on coaching, so they know exactly what to do to get the results they want. Since 2011, A Little Nudge has helped hundreds of singles perfect their profiles and find love online. Erika Ettin was an online dating pioneer. She created a dating profile in 2001 when not many singles were brave enough to explore this uncharted dating territory. She didn’t care about the stigma surrounding online dating — she saw a lot of promise in the idea and began honing her profile-writing and messaging skills. Erika Ettin, Founder of A Little Nudge, empowers singles to up their online dating games. Eventually, Erika had gotten online dating down to a science, and she decided to track her results on a spreadsheet. Her response rate was well over 60%, and she converted 50% of those conversations into dates. She did some research and realized these results were well above the average, so she began coaching others to help them replicate her success and thrive on dating sites. Today, Erika is the Founder and CEO of A Little Nudge, a premier coaching service for online daters. She works closely with singles to develop a dating strategy that yields fantastic results in a short period of time. Her philosophy is that online dating is a numbers game — the more first dates you go on, the higher your chances are of meeting someone special. In one-on-one coaching sessions, Erika teaches online daters how to market themselves properly in their profiles and make sure their personalities come through in every message. Erika started her coaching business seven years ago, and it’s been working well so far. However, she said she is always thinking of ways to serve the needs of modern daters. Although Erika works with coaching clients around the world through Skype, she has started expanding her in-person services to give a personal touch to clients in major cities on the East Coast. Erika is flexible to the needs of her clients. Some simply need help writing a profile and then they’re off to the races. Others require more hands-on support throughout the online dating process. She acts as her clients’ personal online dating assistant and cheerleader. Erika wants to supplement her comprehensive Platinum Nudge package — which involves her managing all aspects of her client’s online dating account — with separate dating tools, including writing profiles and messages. These services would allow singles who just need a couple pointers to get the help they need and move forward with their dating lives on their own. A Little Nudge’s services appeal to people of all ages, bu particuarly women over 60 because this demographic of singles tends not to have much experience online. Erika can dramatically increase their chances of having a fun and successful time on a dating site or app. Her insights and encouragement help inexperienced or nervous daters feel optimistic throughout the dating process. Erika has had a tremendous impact on the lives of many online daters, and she plans to continue offering helpful resources for modern singles. Her latest project is a podcast called So, We Met Online. The podcast focuses on hot topics in the dating world, including gender roles, pre-date questions, money, and ghosting. So, We Met Online has had 40 episodes so far, and Erika comes out with a new episode every other week. She hopes to expand her audience by posting regularly on her social media channels. Erika discusses anything and everything related to love and dating on the So, We Met Online podcast. The episodes offer a lot of laughs as well as many personal insights into what it’s like to meet someone online and build a relationship. Her podcast is great for singles of all ages. Erika discusses the pitfalls and triumphs of online dating from a variety of perspectives and encourages her listeners to keep their chins up and keep going. Whether she’s discussing a wacky dating story or giving her take on a controversial relationship issue, Erika is an entertaining, informative, and honest guide for modern singles. Since 2011, Erika has worked with hundreds of single men and women from all walks of life. She has helped 20-somethings gather photos and create dynamic profiles on dating sites, and she has taught 60-somethings how to navigate online dating without feeling overwhelmed by the technology. She has collected many favorite testimonials over the years to show potential clients what she can do to improve their love lives. Erika has been a strong advocate for online dating since the early 2000s. Over the last two decades, she has mastered the art of making a good impression online. 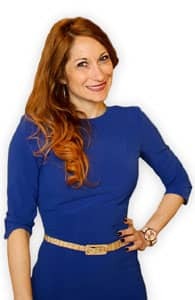 As a professional dating coach, she provides clever tips designed to boost her client’s visibility and attractiveness on any dating platform. A Little Nudge encourages online daters to perfect their profiles and carefully word their messages so they increase their odds of meeting someone special. The specialized coaching services have been greatly successful thus far at upping their online dating games, and Erika plans to continue diversifying her business to provide insights on all aspects of modern dating.